Love those pics, something about the clean white and beautiful purple. Love the quote and the doors! Love the floral wreaths! Are these photos from your Steeple Chase series? The doors of wisdom may never be shut, but too bad some people's minds are. Love the pictures, what a wonderful building and great wreaths! 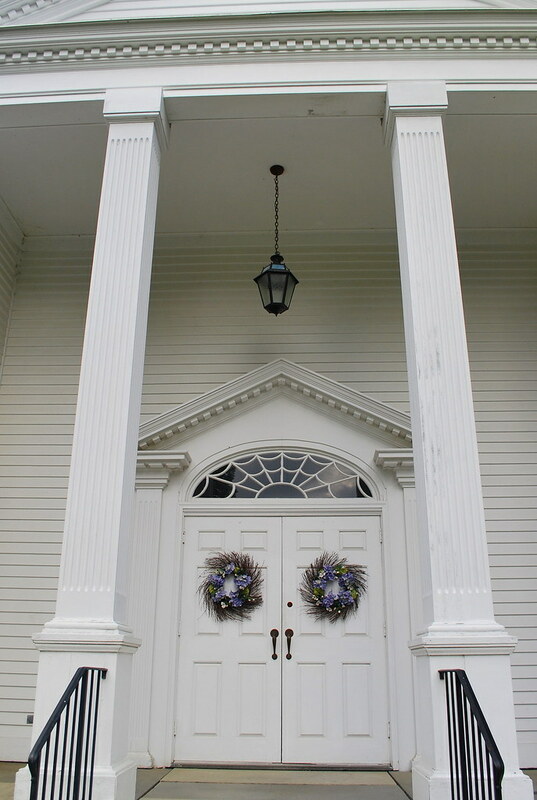 The wreaths resemble the eyes on the doors of wisdom. I must say, a New England Congregational church (I think) in white seems a quiet classic in style always! 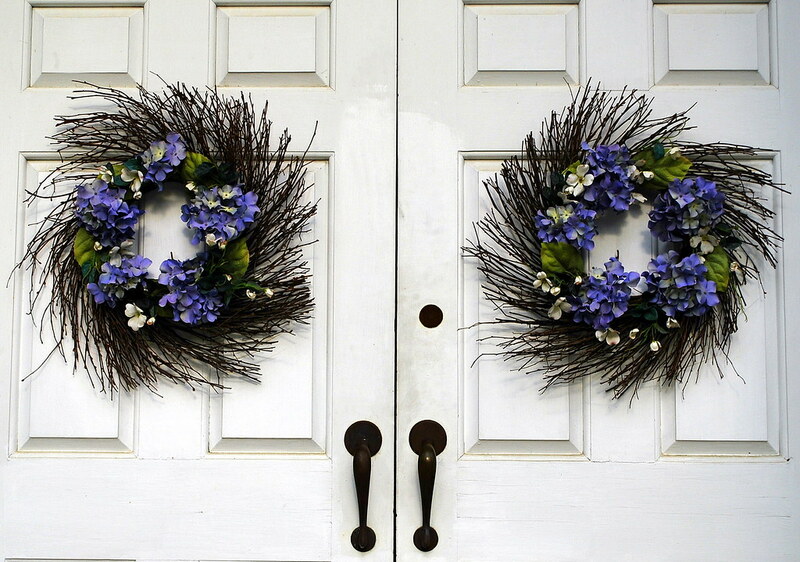 Omigosh, how gorgeous are those wreaths and made even more striking with the white doors behind them!! The quote is a wise one indeed!! I've just caught up with your last few posts I had missed...that Zuppa Toscana soup you made looks really delicious but I think I would use mild Italian sausages since I don't care for spicy food! I know, I'm such a wuss! lol I even find black pepper too hot!!! I think all of the doors of the White House are nailed shut. Your photos are great, as usual! Ah, a beautiful New England church. Great photos - I love how the second one just pops out of the page! I like the quote you shared. Strange, I know those doors!!!! 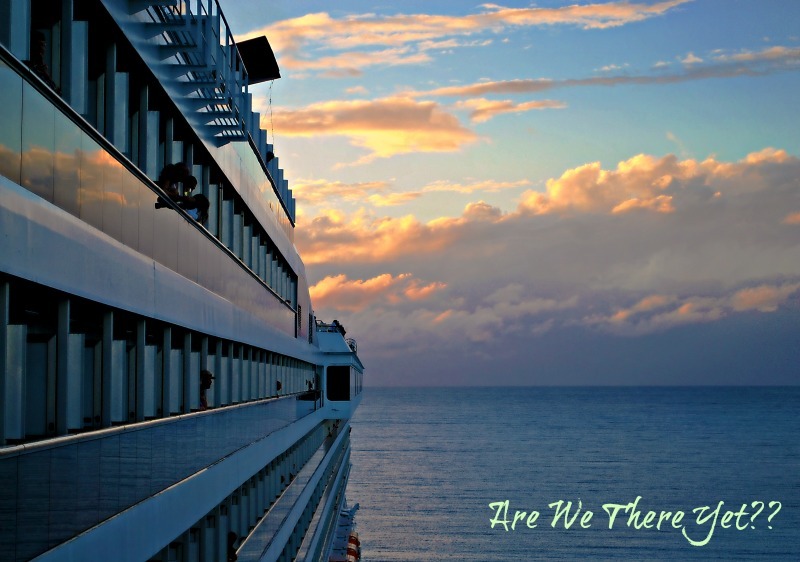 Sorry the comment is so delayed, I kinda extended my blogging leave of absence a little longer than I had hoped!